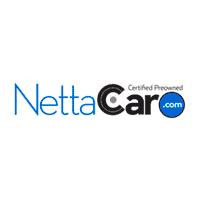 View Inventory Why Shop NettaCar? Now get so much for so much less! The Price You See Is the Price You Pay! You will always see our lowest price clearly listed on each car. Never any hassle. Never any stress. Lifetime Powetrain Warranty Get peace of mind with our engine warranty included with every NettaCar certified vehicle. And it’s good for as long as you own your car. No Commission Sales People Our sales consultants are never paid a commission. They are paid to focus on finding you the right car. So from the moment you arrive at a NettaCar location, you'll enjoy a relaxed opportunity to consider all your options. There's never a rush. There's never high pressure. 3-Day Return Policy We will accept the return of any qualified NettaCar vehicle within 3 days or 100 miles. No questions asked. Excludes NettaCar Value Cars or customer damaged or altered vehicles. Our finance experts are here to guide you through the financing process and help you get into your new vehicle. Contact NettaCar’s finance team today or if you’re ready to start the financing process, you can fill out our secure finance application online. At NettaCar we research the used car market 24/7 to make sure that “Our One Price” is always “Your Best Price.” And we’re so sure you will love all the value of your NettaCar, we back it with a no questions asked 3 Day Return Policy. Thank you for making your way to NettaCar, your certified used car dealer serving drivers throughout Staten Island, Brooklyn, New York, and New Jersey. At our dealership, you’ll find a solid selection of used vehicles for sale. We also have a well-connected finance center run by a qualified team of finance experts, who can help you get the right loan or lease in a quick, easy, and transparent manner. Our commitment to our customers continues well beyond the date of purchase. Make your way to NettaCar in Staten Island today for quality vehicles, a friendly team, and professional service at every step of the way. And if you have any questions for us, you can always get in touch at (877) 841-9036.